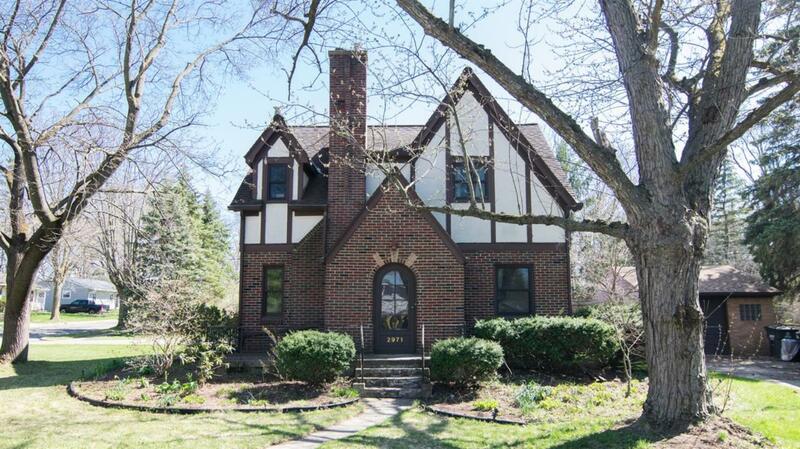 This stately Tudor is loaded with charm and character and is walking distance to Lakewood Elementary and Dolph Park. You will love this eclectic, wooded neighborhood just minutes to shopping, freeways, Downtown Ann Arbor, and the University of Michigan. Great setting includes large trees, great landscaping, and private deck. The interior is wonderful. Highlights include hardwood floors in most rooms, welcoming living room, fireplace, great formal dining room, spacious kitchen, flex-use main level bedroom, bath, and family room (currently used as a bedroom). The 2nd level includes a nice-sized master bedroom, full bath, and great kids bedrooms. Unique design with addition creating an attached garage. Wine Cellar in the basement. You will love this home!